Hamilton, Ohio: The Records Company requires all client specialists to complete a HIPAA certification course within the first 90 days of their employment with the company. 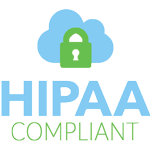 HIPAA refers to the Health Insurance Portability and Accountability Act of 1996, the federal law that protects the privacy of health records and ensures patients the right to access their health information. Because client specialists work directly with health records and their retrieval, full compliance with HIPAA plays an essential role in their job duties. Regulations related to HIPAA change from year to year, so client specialists must update their certifications annually to ensure fulfillment of federal law. “HIPAA certification reassures us and our clients that no information is freely given without the authorization of the patient and the HIPAA rule has been met,” says Chief Operations Officer Laura Elam. HIPAA certification training addresses the relationships between HIPAA and other federal regulations. The certification also addresses rules regarding what patient information can be released and to whom as well as ways patients can access their information. The course also covers the legal penalties for HIPAA breaches. Employees must complete training and pass a test before receiving their certificate, and The Records Company covers the cost of certification. The Records Company works with law firms, insurance companies, and other businesses around the United States. They offer retrieval and storage of medical, business, and other paper and electronic records from all 50 states as well as international sources. The company has retrieved and delivered more than 1.6 million records since 2013.